I normally don’t encourage jumping on the bed due to the fact that I don’t want broken heads or broken beds. 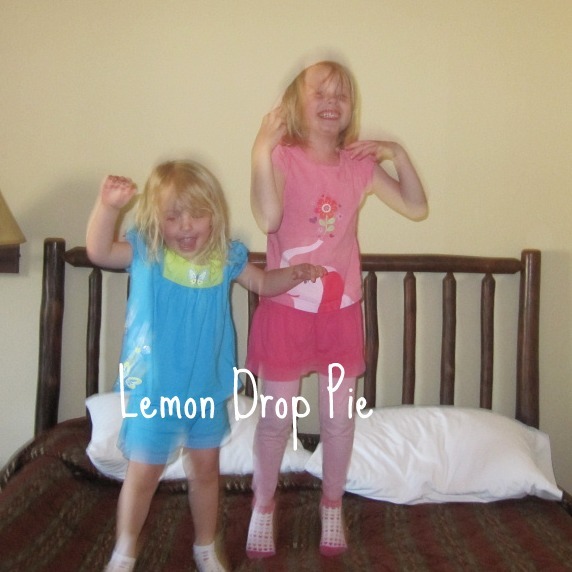 But when we were on vacation, Emma and Lily were having so much fun…. Sometimes it's fun to just do it anyway! Great picture! Looks like WAY too much fun! !Here from the hop! Now I have the "Ten little monkeys Jumpin' on the bed" chant in my head! 🙂 Cute pic…those ARE great times! Great picture, I almost used a jumping on the bed pic too, it looks like they are having a blast! I don't think I ever jumped on any bed. In bed yes, on bed no! But they look like they were having fun, so perhaps I should try it sometime! Sweet picture. Jumping on the bed is so much fun!So glad you let them enjoy the moment. I do agree with you on the broken heads and bed!